Body washes can make women weak in the knees. Not only does using a body wash make you feel like you’ve stepped out of a spa every time you shower, but they’re also travel-friendly, cost-effective, and great for your skin. With fantastic fragrances to choose from, and their oh-so-luxurious exfoliating and hydrating properties, what’s not to love? But, with so many different kinds of body washes available in the market, which one should you choose? To help you decide, I’ve put together a list of the 10 best body washes available in India. 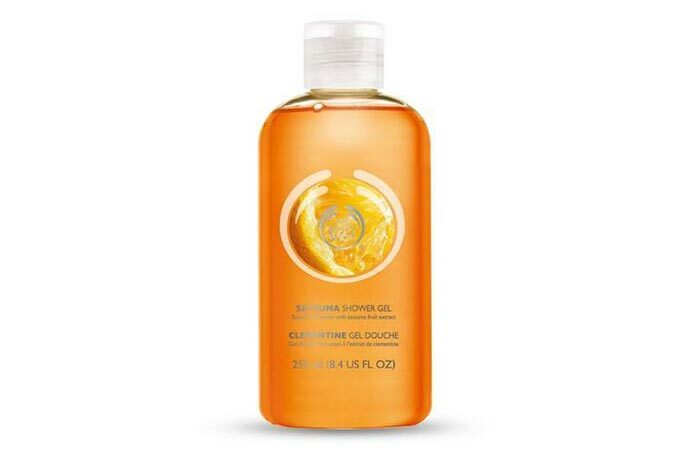 The Body Shop’s Satsuma Shower Gel is soap-free and lather-rich. The gel has a refreshing citrus fragrance and is formulated with the zesty satsuma essential oil. This body wash gives your skin the gentle care and nourishment it needs to have a radiant glow and velvety smooth feel. It keeps your skin hydrated while getting rid of the dirt and grime that settles in, causing build up through the course of the day. 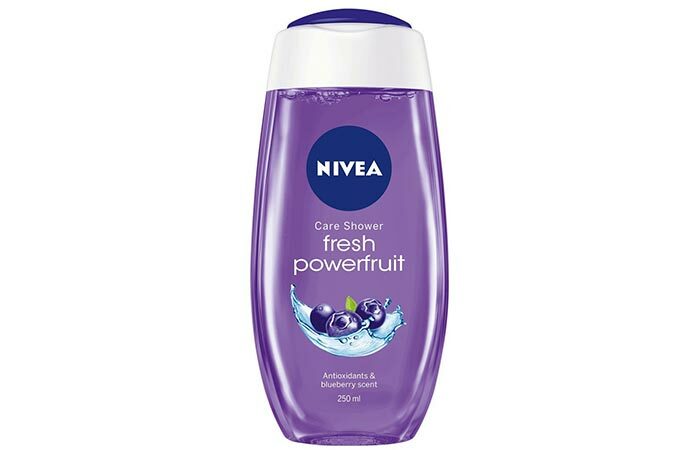 Nivea’s Fresh Powerfruit Shower gel comes with the exotic fragrance of Acai Berry, which leaves you with a feeling of energizing freshness. The gel is enriched with antioxidants and blueberry extracts that help keep your skin healthy, smooth, and damage-free. Its Hydra IQ 24h+ technology will help keep your skin moisturized throughout the day. Keeps your skin hydrated and smooth. Helps get rid of a tan. The fragrance does not last. 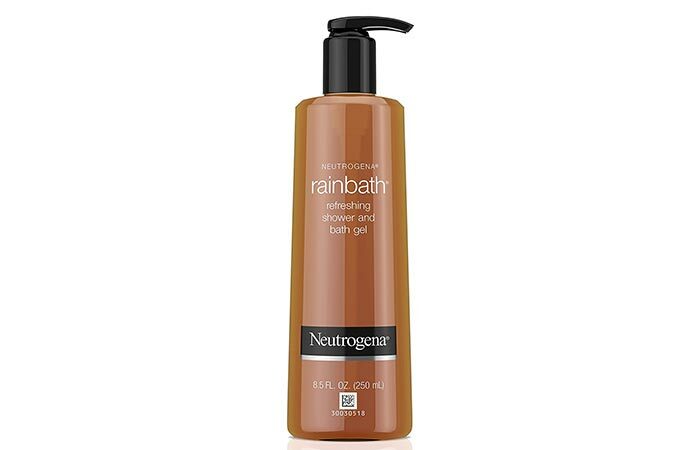 Neutrogena’s Rainbath Refreshing Shower Gel claims to awaken your senses with its pleasant fragrance that is a blend of spices, herbs, and fruits. 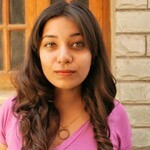 The gel helps soften and condition your skin without leaving behind any residue. It makes your skin super smooth and can also be used as a shaving gel. Has a pleasant woody fragrance. Fiama Di Wills’ Thermal Spa Skin Renewal Shower Gel is a spa-inspired product that has a beautifully creamy formula enriched with crushed coconut extracts and jojoba butter. This shower gel will help retain your skin’s natural moisture to help reveal soft and supple skin. It helps remove dead skin cells with its gentle exfoliating action, leaving your skin soft and beautifully radiant. 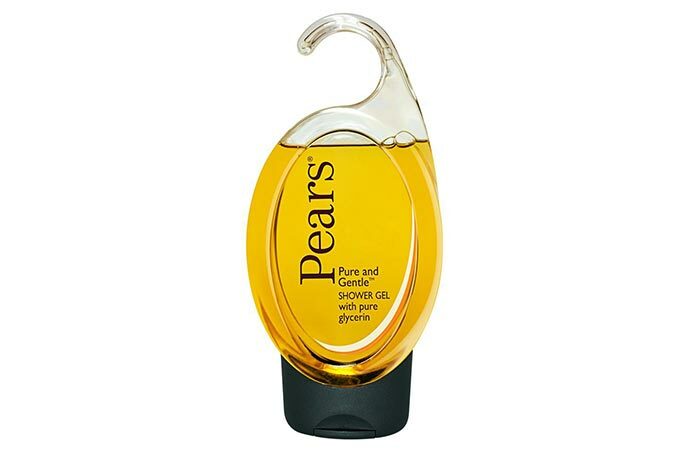 For those of you who are fans of the good old soap bar, Pears’ Pure And Gentle Shower Gel can make your shower a nostalgic experience. The bottle is attractively packaged to resemble the pears soap bar, and the gel is the same color that we were fascinated by as kids. The formula has a mild fragrance and helps cleanse the body well while making your skin soft and supple. This is undoubtedly the best body wash in India. Maintains the pH balance of your skin. 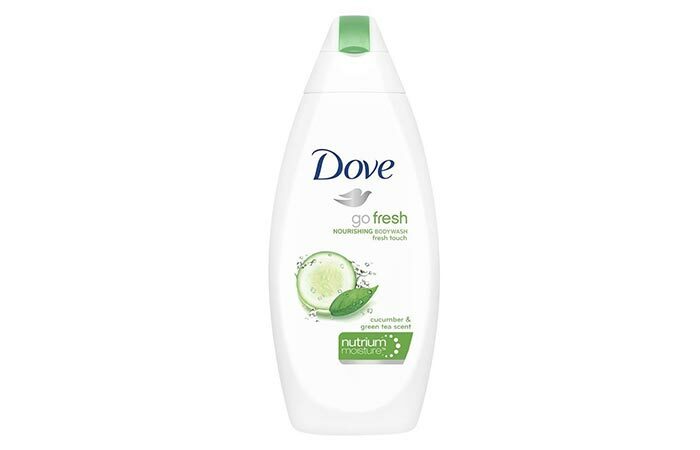 Dove’s Go Fresh Nourishing Body Wash claims to be better than milk for your skin. It penetrates through your skin to deeply nourish it with its mild and gentle formula. Its unique NutriumMoisture technology helps provide your skin with the nourishment it needs to stay healthy and smooth. The body wash gives you noticeably smoother skin after just one shower. 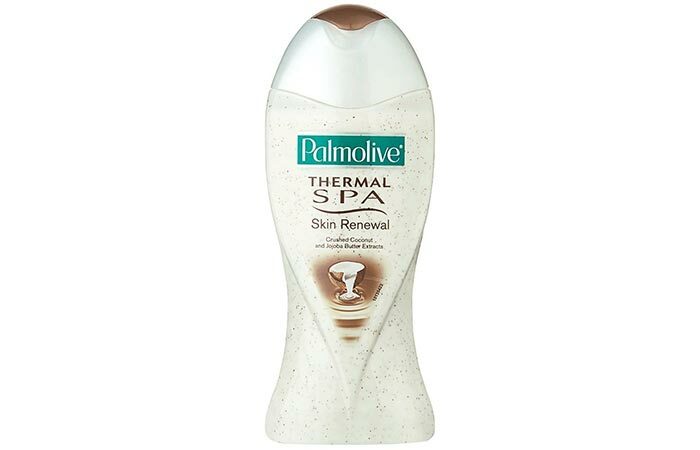 Has a cooling effect on skin. 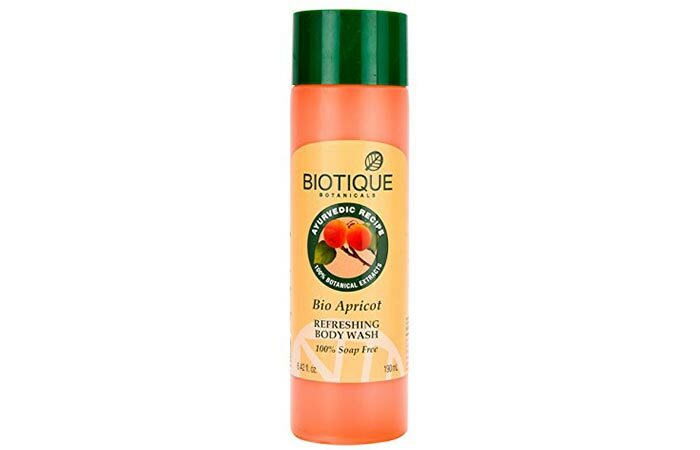 Biotique’s Bio Apricot Refreshing Body Wash is free of soap and is enriched with the extracts of apricot, wild turmeric, soap nut, and kurchi. The body wash effectively cleanses your skin without dehydrating it so that your skin feels smooth and moisturized. Works well for dry skin. 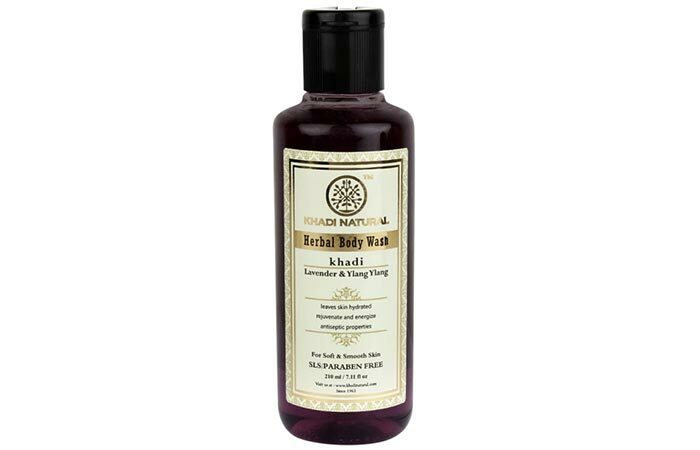 Khadi’s Lavender And Ylang Ylang Body Wash helps you ward off stress and fatigue with its relaxing fragrance. The product is free of SLS and parabens, and is formulated with a fusion of lavender oil and aloe vera. It helps create a revitalizing shower experience, which helps relax your muscles and reduce body aches. Contains natural ingredients like aloe vera gel, lavender oil, vitamin E, and ylang ylang oil. Nivea’s Creme Soft Shower Cream helps revitalize your skin while keeping it moisturized. It helps improve your skin’s texture with its unique formulation that is enriched with almond oil. The product also helps balance your skin’s pH levels while effectively cleansing it. Helps keep your skin hydrated. Does not wash off easily. 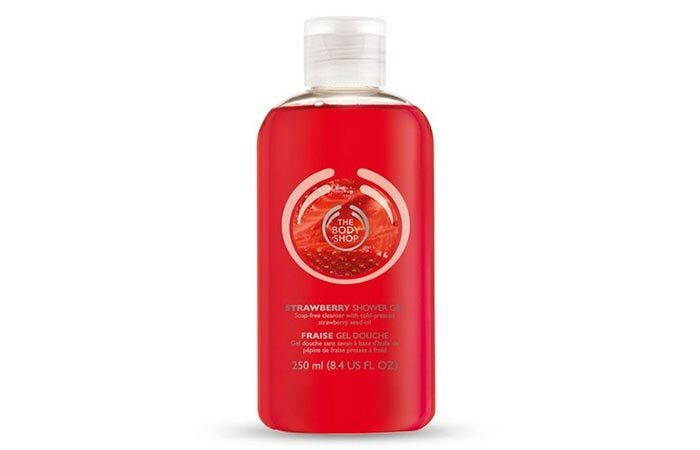 The Body Shop’s Strawberry Shower Gel is another gem from the brand’s body wash collection. Enriched with strawberry seed extracts, the formula is free of soap but lathers extremely well. It has a sweet strawberry scent that has an uplifting effect on your mood. Does not dehydrate the skin. Does not hydrate extremely dry skin types. With this list of body washes, stepping into the shower will become something you look forward to every day. Everyone’s skin and preferences are different, so don’t be afraid to try out more than just a few body washes until you find your personal favorite. Have you ever used any of these products? Tell us about your experience in the comments section below.